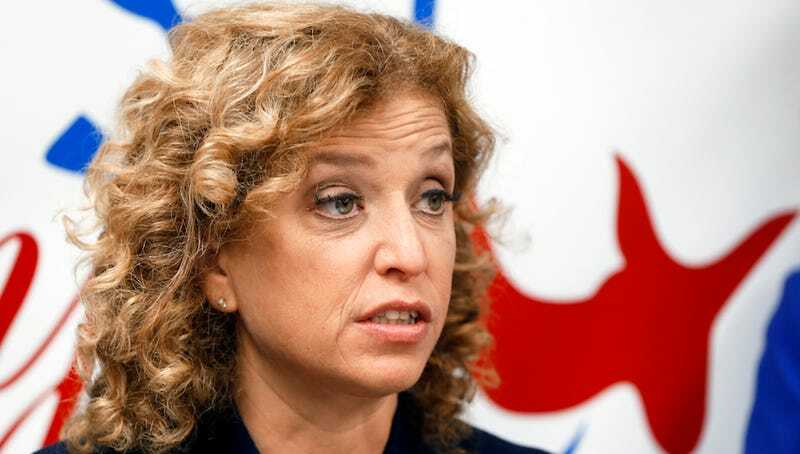 Debbie Wasserman Schultz, US Representative for Florida and head of the Democratic National Committee, has been in the news more frequently since the Bernie Sanders email breach fracas. But she might find herself highlighted with another claim to fame once America gets a load of her baffling (idiotic?) comments on drugs—specifically, marijuana control. In an interview with the New York Times Magazine, Ana Marie Cox used her (condensed and edited) time with the Congressperson to ask about her less-than-progressive viewpoints on marijuana; specifically, that she opposes its legalization, signifying a general break with the party’s prevailing conventional wisdom and an issue that has been divisive for her in the past. Yes, there really is a difference between opiates and marijuana! Mainly in that the heroin epidemic that the Rep. seems to be so concerned about cannot be directly traced back to the overuse of weed, but it actually can be directly traced back to the overprescription of opiates such as Oxycontin, which hooked users and led the addicted to turn to cheaper, easier-to-acquire street drugs. Such as horse. This is the more troubling statement of the bunch, and not just because it’s vague. Wasserman Schultz grew up in some of the tonier parts of Long Island—suburbia, indeed—during the late 1970s and early 1980s, so we can at least surmise that some of the drug culture that “surrounded” her childhood was the one happening miles and worlds away in New York City proper, during another era of rampant heroin addiction. No, the main issue here is that whatever informs her views, her hardline stance on marijuana directly contributes to the marginalization of people who maybe don’t have the same economic privilege. Marijuana criminalization is currently the cause for about half of drug arrests, and in Florida alone—the state Wasserman Schultz is tasked with representing—misdemeanor possession of 20 grams or less of marijuana can result in a $1000 fine and a year in prison. More crucially, a policymaker who appears to be so woefully misinformed about an issue that is becoming increasingly dire is worrisome, particularly when that policymaker is the chair of the major American party that is supposedly less reactionary than its counterpart. Say it with me: marijuana is not a gateway drug, nor does it have any provable corollary to the heroin epidemic. Correction: an earlier version of this piece stated that marijuana criminalization was responsible for half of the current prison population. It is actually responsible for half of drug arrests. Jezebel regrets the error.